An opportunity to wear those outfits again and be treated to a professional photoshoot is on offer, where you can pose on a carousel in the theme park, on a roller coaster or 1940's aircraft. "We want real people to represent our brand; we are looking for couples to be the stars of our wedding venue launch. "We are particularly in search of fairytale style wedding attire, 1940's style and any kind of alternative outfits too. "Of course this is open to all couples." 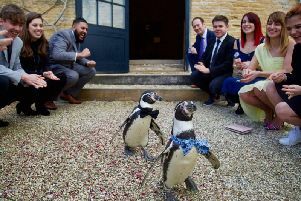 Couples will get the chance to wear their wedding outfits for a second occasion, have a professional photoshoot in the Theme Park and keep the images. Plus you'll get some exclusive treats from the Gulliver's team on the day. The photo shoot will commence on Thursday 10th May 2018, couples must be available on this date and arrange their own transport to and from Gulliver's World, Warrington.